FULBRIGHT, RUFUS CLARENCE (1881–1940). Rufus Clarence (Bob) Fulbright, attorney, was born in New Boston, Texas, on October 6, 1881, the son of Rufus T. and Bertie (Welborn) Fulbright. His parents were natives of Jackson, Tennessee, who had moved to Texas in 1875. Fulbright attended public schools in New Boston and earned a bachelor's (1902) and a master's (1905) degree from Baylor University. After teaching school briefly, he enrolled in the University of Chicago Law School in 1906 and was awarded a J.D. degree in March 1909. At the university he also became a member of the Delta Chi fraternity. Fulbright joined the Houston law firm of Andrews, Ball, and Streetman in 1909 and soon became rate counsel for the firm's major railroad client, the Gulf Coast Lines, which operated between New Orleans and Brownsville. In 1918 he agreed to represent Anderson, Clayton and Company, then developing into the world's largest cotton-marketing organization and in need of expert advice in rate matters. 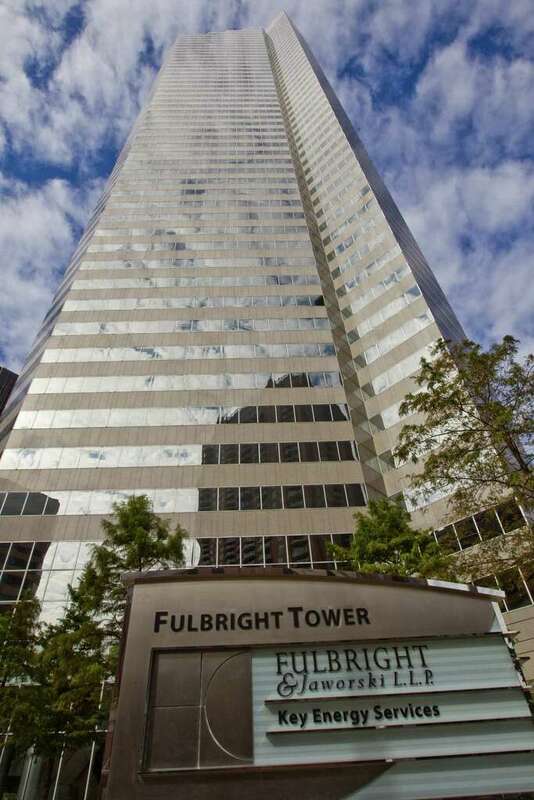 Unable to represent both carriers and shippers, Fulbright left the Andrews firm. He established his own office in 1918, and in 1919 he joined John Henry Crooker, a former district attorney of Harris County, in forming the law partnership of Fulbright and Crooker. In 1924 John Henry Freeman joined the firm, which remained Fulbright, Crooker, and Freeman until the time of Fulbright's death in 1940. With subsequent additions and deletions, the firm's name was shortened to Fulbright and Jaworski in 1974 (see JAWORSKI, LEON). As an authority in transportation law, Fulbright was in high demand during the twenties and thirties, when the Interstate Commerce Commission's power to regulate railroads reached its zenith. In addition to his cotton-company client, Fulbright represented the Southern Pine Association and was chairman of the legislative committee of the National Industrial Traffic League. Although his clients' concerns were sometimes narrowly defined, Fulbright's opinion on the theory of rates was widely respected by members of Congress and the Interstate Commerce Commission. He also developed a substantial federal tax practice at a time when the nation's only tax court was in Washington. Finding himself in the capital much of the time, he opened an office of the firm there in 1927. Subsequently, Fulbright resided in Bethesda, Maryland, until his death, though he maintained his legal residence in Houston. Fulbright Marriage listed in a newspaper. Image available on the Internet and included in accordance with Title 17 U.S.C. Section 107. He was a Baptist, but he also supported the Fulbright Memorial Methodist Church in Houston, named in honor of his mother, who spent her last years in the city and helped organize the congregation. He was a member of Holland Lodge No. 1 in Houston. After the death of his first wife, Pearl (Ward), he married Irene Hardin. He had no children. Fulbright died in Bethesda, Maryland, on March 29, 1940, and is buried in Houston. Houston Post, March 30, 1940. Texas Bar Journal, May 1940. Handbook of Texas Online, Newton Gresham and James A. Tinsley, "FULBRIGHT, RUFUS CLARENCE," accessed April 21, 2019, http://www.tshaonline.org/handbook/online/articles/ffu19.